SIF Project Showcase at Georgia State's "Democracy Day"
As part of that endeavor, the SIF program participated in the afternoon table session, showcasing how our project relate to political advocacy and community engagement. We highlighted how the latest technologies such as VR, 3D-scanning, and data visualization can play a vital new role in framing democratic issues. Students were curious to learn how a platform such as ATLmaps can explain in novel and exciting ways the origins and consequences of demographic change. Similarly, event attendees had a lot of great questions for us about the Objects of Refuge project and how we utilized 3D-scanning to frame students’ stories of migration in terms other than the “bootstraps” success narrative or the narrative of victimization. 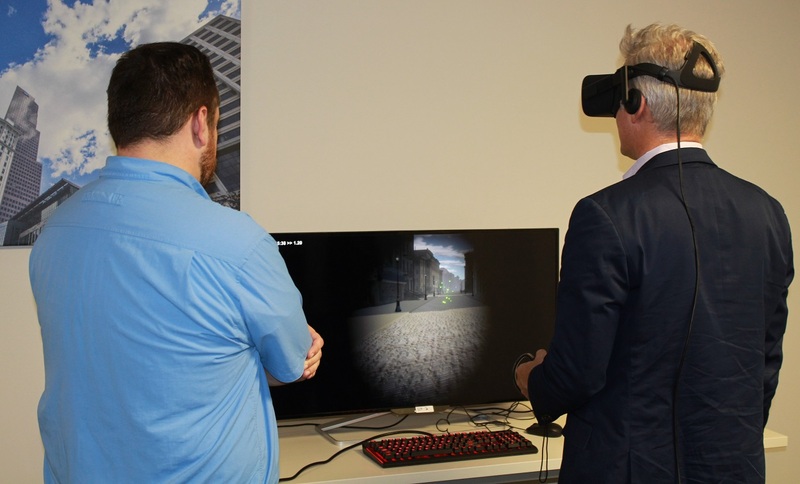 Last but definitely not least, students were thrilled to put on the Occulus Rift headset we brought to the session and take a virtual stroll around the Decatur Street area in Downtown Atlanta during the late 1920s. And when they used the latest feature of Open World Atlanta, the Chronolens, they were surprised to see how drastically and radically the city of Atlanta has changed in the course of the 20th century, and how democratic processes and political decisions affect urban development. We invited students to reflect about Democracy Day and share their experiences. 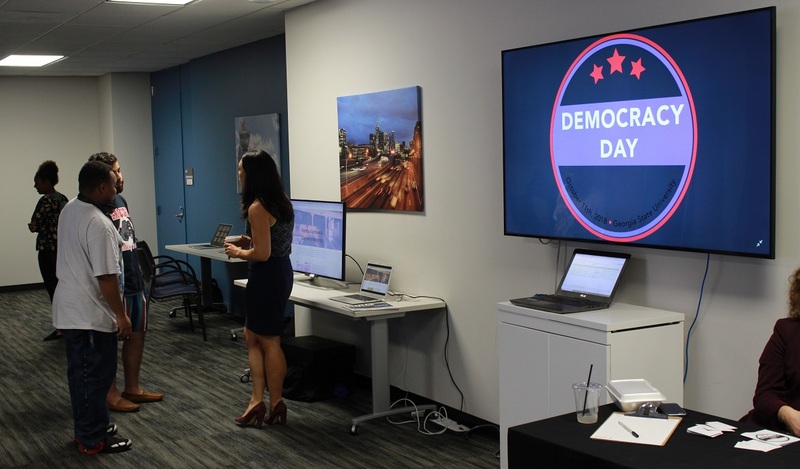 Our team had a great time talking to the attendees and showing them how emerging technologies can really help shine a light on important democratic issues.